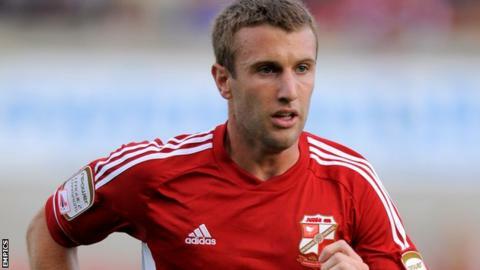 Swindon Town will be without Andy Williams for around a month after the striker picked up a calf injury. Williams, who has scored three goals this season, was taken off at half-time in Saturday's 1-0 victory over Bury. Town initially expected the 26-year-old to be absent for two weeks but scans revealed the problem is more serious than first thought. Meanwhile, midfielder Gary Roberts is expected to make his return to action against Coventry on Saturday. Roberts, 28, joined the Robins from Huddersfield in the summer but calf and nerve problems have restricted him to five appearances in all competitions.